If you’re looking for a quick and easy porridge recipe to enjoy this summer, here it is! We love porridge in the morning as it’s super quick and easy to make, only requires a handful of ingredients and can also be personalised very easily! It’s also a delicious and hearty breakfast that will give you the energy you need for a long and productive day. 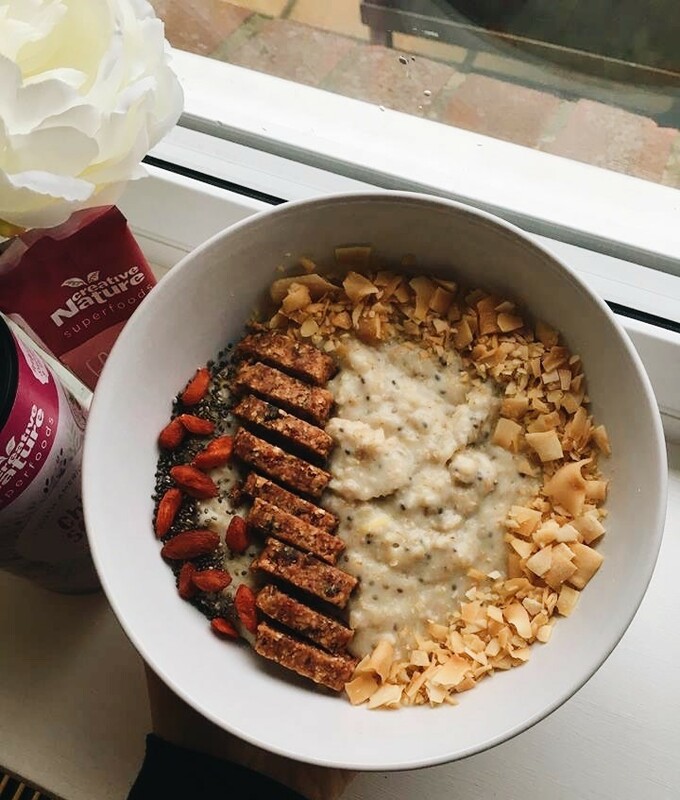 The healthy carbohydrates in the oats will power you through whilst the protein and fibre in the Chia Seeds will also keep you fuller for longer. With a zest of fresh lemon it’s nice and refreshing plus gives a beautiful summery taste! As with all porridges, feel free to personalise it as you like and add toppings of your choice! In this one, we had some delicious coconut pieces, chia seeds, goji berries and our lovely Goji Goodness bar on top! Once it’s fully cooked- pour into a bowl and add toppings of your choice- we love adding fresh fruit, compote, coconut chips and chopped up Creative Nature bars!